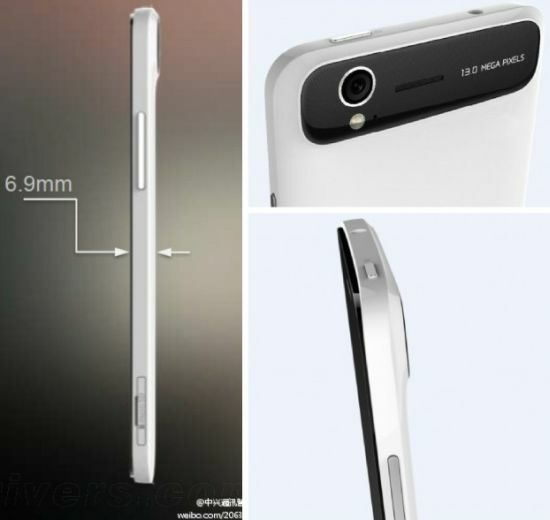 After unveiling its Nubia Z5 Smartphone a couple of days back, ZTE is set to reveal yet another phablet called the “Grand S” during CES 2013 next month. Featuring a 5″ 1920×1080 touchscreen and a 13 MP rear camera, the new ZTE 6.9 mm thin phablet, much like the Nubia Z5, is expected to include a 1.5 GHz quad-core Qualcomm Snapdragon S4 (APQ8064) processor, 2 GB of RAM and 2,500 mAh battery that is 500 mAh less to its predecessor. 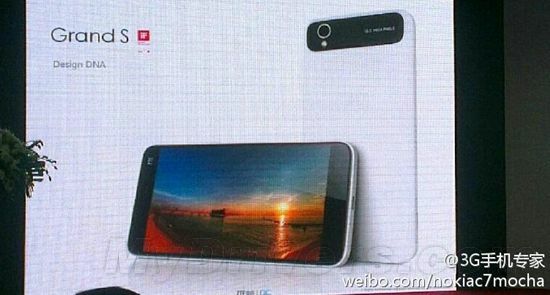 There is no confirmation regarding these specs, for these details have only been revealed to the Chinese media. Featuring the body finished in ceramic, the ZTE Grand S is going to be the thinnest 5-inch phablet with a 1080p display. The Grand S is expected to be retailed at ¥2,799 (about $449 or €340), which will be around $100 cheaper than the Nubia Z5.